THE Mill on Conway Street was buzzing on Monday as crowds packed in for the official Féile an Phobail launch. Féile 25 is set to be Ireland’s biggest and most vibrant community festival ever with a stellar line-up of musicians including The Coronas, Happy Mondays, Charlatans, The Priests and ska legends The Beat. Comedy, debate, exhibitions and much, much more will add to the mix. Belfast’s First Citizen, Lord Mayor Máirtín Ó Muilleoir was joined by Northern Ireland Tourist Board Chairman Howard Hastings at the launch. Also there were Sinn Féin President Gerry Adams and West Belfast MP Paul Maskey. 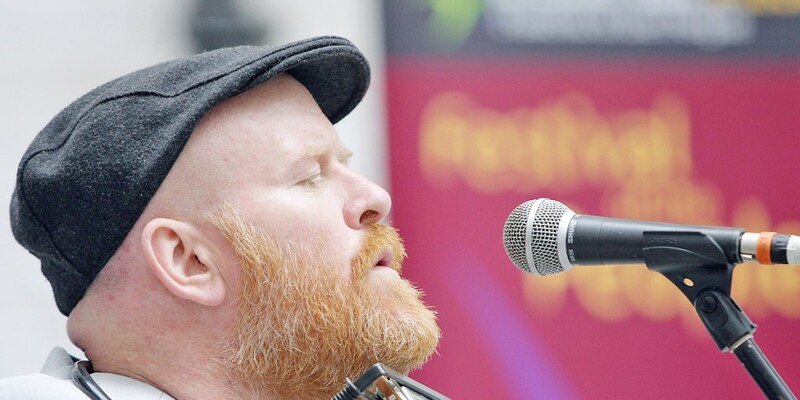 Féile Director Kevin Gamble introduced West Belfast singer-songwriter Joby Fox who entertained the audience with a rendition of his popular hit, ‘Belfast’. Speaking during the launch Mr Gamble said the festival had “stayed true to its roots”. “A quarter of a century of inclusive engagement with communities from within and outside West Belfast is a great achievement in anybody’s book,” he said. “But I’m hugely proud to say, that as Féile an Phobail has grown year in year out, it has also stayed resolutely true to its roots. The Féile programme is online at www.feilebelfast. com and tickets can be purchased there and also from ticketmaster.ie and the Belfast Welcome Centre.